The beginning of the end is here. Warhammer 40,000: Armageddon, Slitherines strategy game based on Games Workshops wildly popular tabletop miniature wargame, has finally arrived on iOS. Announced back in March 2013 and launched for PC in November 2014, Warhammer 40,000: Armageddon is indeed available now on iOS with the release of its iPad edition. Warhammer 40,000: Armageddon is a turn-based, hex-based strategy game that lets you play an integral part in the Second War for Armageddon. 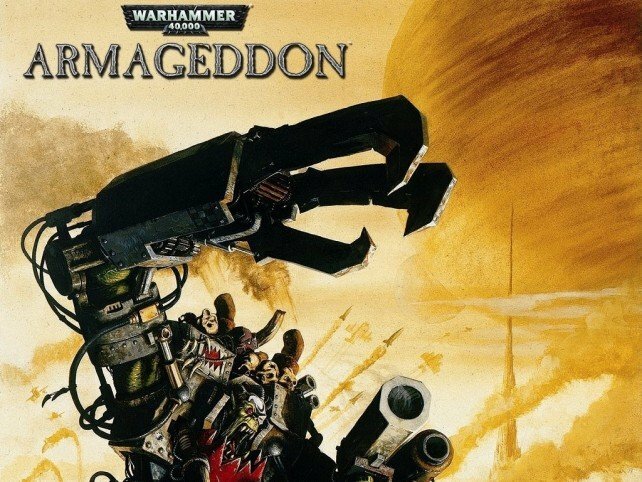 In the game, an Ork army is hell-bent on invading the Imperial Hive World called Armageddon, and its up to you to lead the Imperial forces to victory. The game boasts an epic campaign consisting of more than 30 scenarios and more than 300 unit types. It also features a map editor and a multiplayer mode which allows you to command both Ork and Imperial armies. Moreover, the game has been optimized with controls and performance tweaks for smooth gameplay on iPad. Compatible with iPad running iOS 7.0 or later, Warhammer 40,000: Armageddon is available now on the App Store for $19.99, with the Untold Battles expansion already included. The Vulkans Wrath, Angels of Death and Glory of Macragge expansions are available via in-app purchase separately for $4.99 each or collectively for $9.99. The release of Warhammer 40,000: Armageddon comes right after the selection of Warhammer: Snotling Fling as Apples free App of the Week. Other iOS games based on the Warhammer franchise include Warhammer Quest, Warhammer 40,000: Carnage, Warhammer 40,000: Space Wolf, Warhammer 40,000: Storm of Vengeance, and The Horus Heresy: Drop Assault. See also: Turn your iOS devices Inside Out with these new apps from Disney, Badland, Oceanhorn and other Amazing Fantasy Games are on sale on the App Store, and Drive for freedom and survival in Death Race.